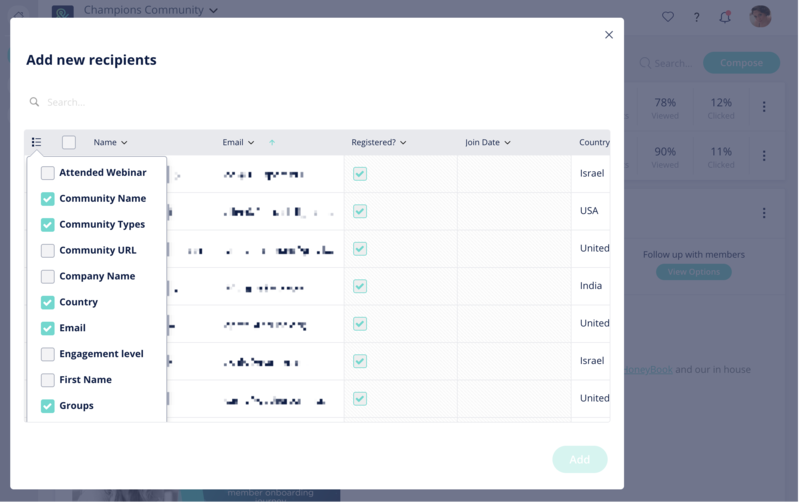 If you need additional emails in an onboarding flow or other process that happens regularly with specific members, you can use an Email Blast for that. 2. Send it to yourself or a colleague to make the template appear in the Outreach Center. 4. Your database of this group pops up. You can choose which fields to show in order to create the right filters and choose the right recipients you want to add. 5. Only members who didn't already receive the email will show in the popup, since it's impossible for a member to receive the same Email Blast twice. We are only able to add NEW recipients. 6. Select the members you want to add, and click the Add button. 7. If you're certain you want to add those recipients, go ahead and click Send. 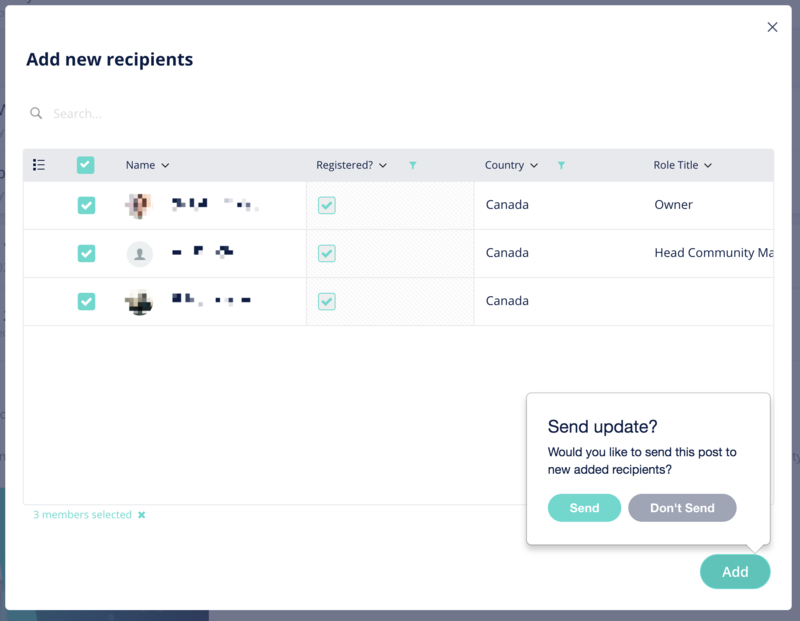 If you click Don't Send, then the recipients won't actually get this email, but they will be counted in a such a way that you won't be able to add them again as new recipients in the future.